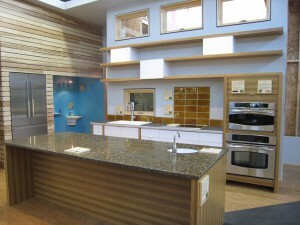 Sustainability, recycling, counter-tops and cabinets, that is what the Rust Brothers are up to on a daily basis. The web site will tell you all you need to know about them and their beautiful products made from recycled materials including Glass, Walnuts, and Coal Slag. The Star-Tribune ran a good article about the boys on May 2, 2011. The article, “Recycling Turns Trash Into Jobs” by Dee DePass (read article), explores Minnesota manufacturers using recycled content and the Rust Brothers are prominently featured. Take a look at the article and be sure to look at the many types of counter tops they offer here on the web site.